Wild berries are a high source of antioxidants. They fight free radicals which are associated with cancer and other illnesses. Eating berries helps your body in its daily defence of illnesses and they supplement your diet with vitamins and minerals. 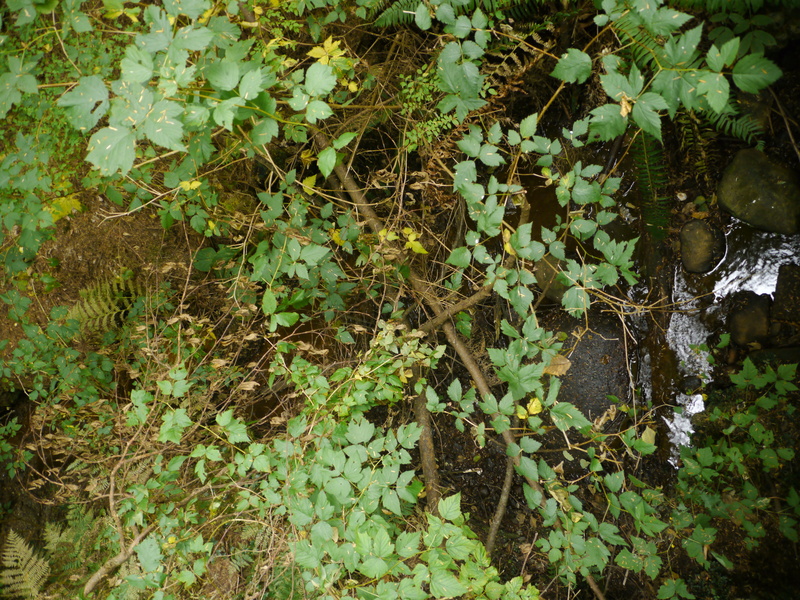 This is a salmonberry bush. 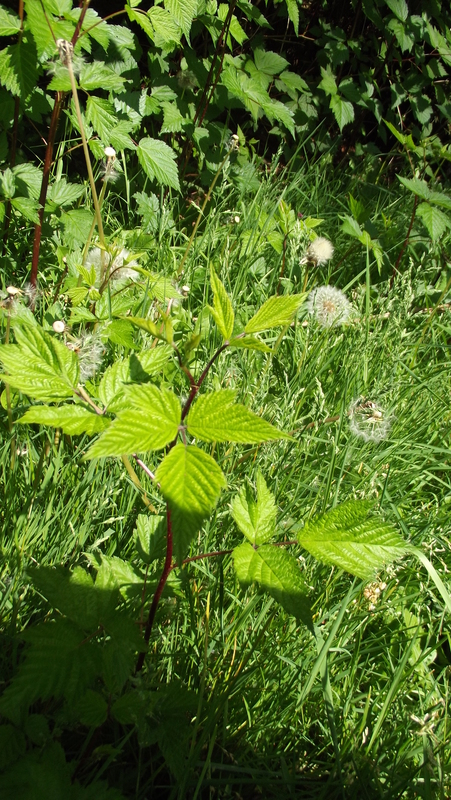 The leaves are edible, and are best used in teas. 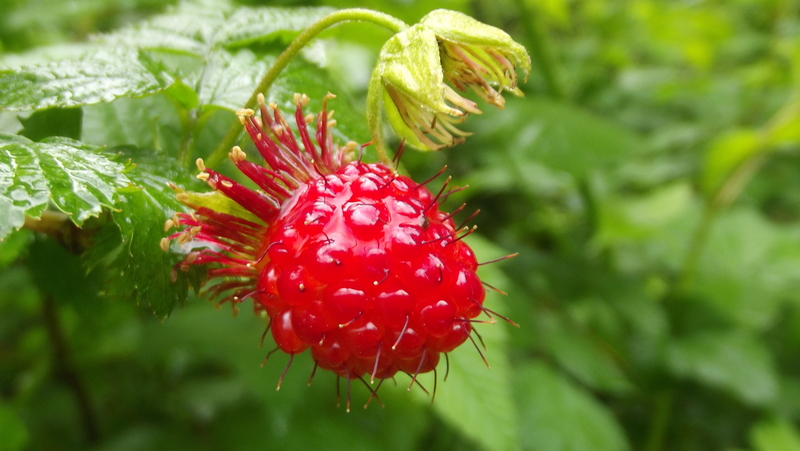 Salmonberry, raspberry, blackberry and thimbleberry are all related to each other, and are also part of the rose family, hence the thorns and pointy leaves. Two leaves are great for one cup of tea. If you want to grow this plant in your garden, you will need to learn about propagation methods, and plan your garden accordingly. you can try to grow this from seed as well. Make sure you give this plant, semi-shade and a big area to grow in, and around. 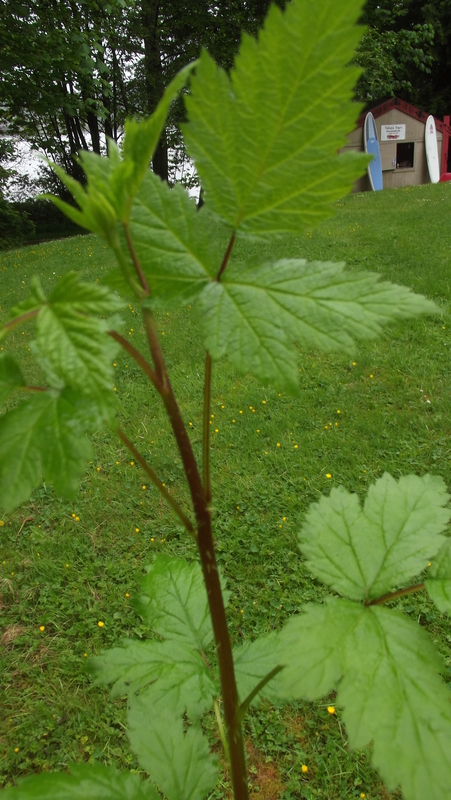 Salmon berry shoots will come up through the ground, and continue to expand their growing base over the years. The shoots are the best part of the plant to eat, and are best when they are about the length of your hand. Children love to pick and eat them, and my people have a nickname for them, we call them “saskies”. The leaves made into tea will help the following symptoms: muscle pain, uterine pain/cramping, body aches and pains from fevers, growing pains, labour pains, birthing trauma, nursing babies. Always make your tea in ceramic or non-metalic cups, and boil the water and add it to the tea leaves, cover it for 5 minutes and then strain and drink. You can add honey or other natural sweeteners too.